The most abundant of the terrestrial rodents (mice and rats) in Laguna de Apoyo Nature Reserve is probably Salvin's Spiny Pocket Mouse (Liomys salvini). Near houses, their principal competitor appears to be the House Mouse (Mus musculus), which is an exotic, invasive species. Liomys salvini lives in underground burrows with many entrances, and the terrain of the volcanic crater interior in Laguna de Apoyo Nature Reserve is ideal habitat for this species. We even have a family living in the yard of Estacion Biologica! Pocket mice can be identified by the foot pads, as shown above. Pocket mice can carry food in pouches in their cheeks, allowing for rapid foraging with ingestion occuring later. We are investigating the diets, population, and distribution patterns of this species in Laguna de Apoyo Nature Reserve. We are seeking volunteers who would like to assist in our studies of the rodents of Laguna de Apoyo Nature Reserve. Would you like to participate? Please contact us. 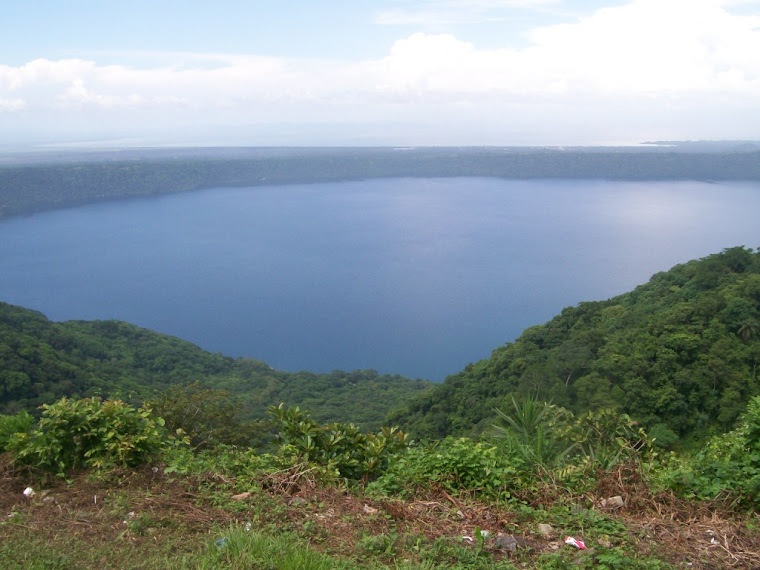 Six fish species are known to inhabit only Laguna de Apoyo. Our research group at FUNDECI/GAIA in collaboration with scientists from US and Europe discovered five of those six, and we have a few other taxa targeted for species recognition from this lake. We are conducting a long-term fish population monitoring project in Lake Apoyo, in part to provide information about the populations of each species in order to assure their continued existence. We gather this date while SCUBA diving. See the film of one of those dives, below. Volunteer divers participate in monthly monitoring of fish transects in Laguna de Apoyo. The volunteers and staff at Estacion Biologica FUNDECI/GAIA are conducting long-term fish population monitoring in a program that encourages "citizen participation". Certified divers can join us in the dives and help us collect data. Our work has led to more than a dozen scientific publications on the fishes of Laguna de Apoyo, and five species of fish have been discovered by our staff in this lake. Furthermore, one of these species, the arrow cichlid (Amphilophus zaliosus), has recently been listed as Critically Endangered on the IUCN Red List. Would you like to help us monitor and protect the endangered fishes of Lake Apoyo? Certified Open Water divers are welcome to join us in this vital work to protect the natural heritage of this beautiful lake. Please contact us for more details.